Philip Glass, Donna Karan, Yoko Ono Lennon, Martin Scorsese, Trudie Styler and Sting, Uma Thurman – these are some who lent effort and donated to the Tibet House 12th Annual Benefit Auction last year. Sting also threw in his (signed) guitar for auction to raise funds. 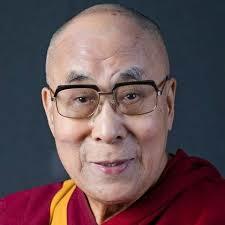 It was perfect publicity – Nobel Peace Prize winner His Holiness the Dalai Lama; compassion; world peace; democracy; save Tibet! But let it be clear, I’m not mocking these generous celebrities. It’s just that on the other side of the world, 143 monks and lay Tibetans have self-immolated since 2009. Yes, they doused themselves in fuel and set themselves on fire. It is unprecedented, it is shameful that it has and continues to happen, and it is downright shocking that His Holiness the Dalai Lama and the Tibetan government in exile do not blink an eye at this catastrophe that has not contributed one single iota towards Tibet’s march for self rule. On the spiritual side, Buddhists including International Campaign for Tibet (“ICT”) Chairperson Richard Gere surely must know that taking one’s own life creates the karma to be born in the lower realms (this is not good). But instead, the ICT keeps tabs and details of all these self-immolations on its website as if it were a medal tally. This is downright disgusting and morally wrong. In the mean time, China is not an inch closer to giving up Tibet and the Central Tibetan Administration (“CTA”) is looking paler and paler on a world scale. At “home”, the CTA’s record has been equally dismal. According to the Tibetan Demographic Survey carried out by the CTA, unemployment rates amongst Tibetans in India are as high as 75%. Speaker of the Tibetan Parliament Penpa Tsering stands accused of being a murderer. The Prime Minister Lobsang Sangay evades question about his Chinese National Passport and then gives the Tibetan fight in Washington before a live world audience. Questions are now being asked about whether foreign aid is being appropriately used. The Dalai Lama is plagued by protesters everywhere he goes. Things are not going well for the CTA. By any single measure, this government would have been broken. Don’t you wonder what keeps the status quo? Besides His Holiness the Dalai Lama’s impeccable and heavily guarded public profile as a kind of Saint, we also have people’s perception that Tibet was some kind of Shangri-La which was destroyed by the evil Chinese Communists. In James Hilton’s fictional 1933 novel Lost Horizon, he describes a lost Tibetan paradise as a valley cut off from the world and calls it Shangri-La. There’s even a five-star hotel named after it and an entry in the Merriam Webster dictionary describing the meaning of the word as “a remote beautiful imaginary place where life approaches perfection”. Imaginary is the operative word but that Tibet never did exist. Religious conflict was commonplace in old Tibet, writes one western Buddhist practitioner. “History belies the Shangri-La image of Tibetan lamas and their followers living together in mutual tolerance and nonviolent goodwill. Indeed, the situation was quite different. Old Tibet was much more like Europe during the religious wars of the Counter-reformation.” In the thirteenth century, Emperor Kublai Khan created the first Grand Lama, who was to preside over all the other lamas as might a pope over his bishops. Several centuries later, the Emperor of China sent an army into Tibet to support the Grand Lama, an ambitious 25-year-old man, who then gave himself the title of Dalai (Ocean) Lama, ruler of all Tibet. His two previous lama “incarnations” were then retroactively recognized as his predecessors, thereby transforming the 1st Dalai Lama into the 3rd Dalai Lama. This 1st (or 3rd) Dalai Lama seized monasteries that did not belong to his sect, and is believed to have destroyed Buddhist writings that conflicted with his claim to divinity. The Dalai Lama who succeeded him pursued a sybaritic life, enjoying many mistresses, partying with friends, and acting in other ways deemed unfitting for an incarnate deity. For these transgressions, he was murdered by his priests. Within 170 years, despite their recognized divine status, five Dalai Lamas were killed by their high priests or other courtiers. In 1792, many Kagyu monasteries were confiscated and their monks were forcibly converted to the Gelug sect (the Dalai Lama’s denomination). An eighteenth-century memoir of a Tibetan general depicts sectarian strife among Buddhists that is as brutal and bloody as any religious conflict might be. This grim history remains largely unvisited by present-day followers of Tibetan Buddhism in the West. In 1895, an Englishman, Dr. A. L. Waddell, wrote that the populace was under the “intolerable tyranny of monks” and the devil superstitions they had fashioned to terrorize the people. Fast forward to the 21st century and not much has changed. Except, perhaps a better disguise. The CTA is showing all the signs of failure; Dharamsala is again not the Shangri-La in the movies. How successful a government is the CTA when unemployment amongst Tibetans in India runs as high as 75%? What does the CTA do? It still carries on “managing” programs created by the Indian government in the 1960’s, still mostly funded by India, with contributions from other governments, NGOs and private donors. The settlements in India are breaking down as one would imagine. “The winter sweater selling business is the economic mainstay of about 70% of the exile population in India”, according to the CTA themselves. Who and what is the CTA? What has the CTA actually done for the Tibetan people that it professes to represent? In half a century, and with countless millions pouring into funds supposedly set up for their welfare, and with the Dalai Lama as the darling of the world, rubbing shoulders with government leaders and celebrities, what has the CTA actually achieved for the Tibetans in exile? What plans and programs has the CTA drawn up in areas such as education, science, technology and business for its populace so that the Tibetan people can be competitive in the world? What remarkable areas of achievement can the CTA boast in half a century, given all the support it has received? What are the Tibetans known for, apart from being victims of an oppressive China and even then, it is an image that the CTA themselves play to the hilt? The answer is nothing and the CTA has done nothing for its people other than lobby the world to give them more money and to oppose China on their behalf. The CTA has had only two products: 1) the Dalai Lama, and 2) the willingness to be the thorn in China’s side. The Tibetan people themselves have never factored into the equation. The answer is self evident. So why are they still in power? Because the CTA’s principles of democracy are only for show. One way the Dalai Lama-CTA partnership has remained in “power” is under the strategic guise of pursuing Tibetan autonomy. The Dalai Lama and CTA have taken the position that Tibetans in India should remain refugees apparently so they are ready to return to an independent or autonomous Tibet. Under Indian law, Tibetans in India are not recognized as refugees and this is not to their advantage. The Indian “RC”, the official document provided to Tibetans, is a registration card which makes these Tibetans not refugees but stateless foreigners. This significantly restricts them. Indeed, to demonstrate the power the CTA has over the Tibetans in exile, Tibetans in exile can apply to the Government of India to acquire citizenship by birth only after obtaining a “no objection” certificate from the CTA. This is a huge obstacle for Tibetans as the CTA officials discourage any applications with the suggestion that it shows disloyalty to the Tibetan cause. Hence, the statelessness of the Tibetans continues unabated, all for what? If the sponsors of the Free Tibet movement think they are providing support to a pro-democratic system, they are in for a surprise. One would think that a culture trying to win back independence from occupation by an “oppressor” would be embracing a system that allows more democratic freedom. Instead it behaves precisely like the oppressor it accuses. The Dalai Lama and CTA have been working hard to try and convince the world that they are not a theocratic dictatorship but a democracy. Of course “they are”. They will attract more foreign aid from democratic Western countries and Westerners in general if they appear to operate as a democracy. …the Lama’s power elite misuses the word democracy because it still dominates exile Tibetan politics through ‘democratic’ manipulations to perpetuate the existing patrimonial structures. The introduced reforms touch only the surface of Tibetan society but do not change the traditional system. There is nothing democratic about this model, there are elections but there is only one party standing under the overall leadership of a non-elected Dalai Lama. So what has the West been supporting? Really, Where Does All The Money Go? One question that has never been satisfactorily answered by the Dalai Lama or the CTA is where does all the money, equivalent to many millions of dollars, that pours into the exile community, go exactly? Structurally, the CTA comprises seven departments plus other special offices. There are also charitable trusts, a publishing company, hotels, and a handicrafts distribution company in the USA and in Australia, all grouped under the government-in-exile’s Department of Finance. The CTA annual budget is also some sort of a mystery. Other than stating some aggregate numbers in public statements, a complete written breakdown is hard to obtain. “In response, it claimed then to have annual revenue of about $US22 million, which it spent on various health, education, religious and cultural programs. The biggest item was for politically related expenditure, at $US7 million. The next biggest was administration, which ran to $US4.5 million. Almost $US2 million was allocated to running the government-in-exile’s overseas offices. For all that the government-in-exile claims to do, these sums seemed remarkably low. A younger sister served as Health and Education Minister and her husband served as head of the government-in-exile’s Department of Information and International Relations. Their daughter was made a member of the Tibetan parliament in exile. A younger brother has served as a senior member of the Private Office of the Dalai Lama and his wife has served as Education Minister. The second wife of a brother-in-law serves as the Representative of the Tibetan government-in-exile for Northern Europe and Head of International Relations for the government-in-exile. Half a century of donations and foreign aid have gone towards suppressing the Tibetans, not free them of oppression. In her book “The Tibetan Government-In-Exile”, Stephanie Roemer tried to figure out the annual budget of the CTA and the Dalai Lama’s revenue. She found swaths of income and expenditure that were not clearly documented, with large sums unaccounted for and spending unclear. An example is whilst the revenues for the CTA had increased dramatically with the opening of CTA bureaus around the world, nevertheless what the revenues were spent on is unclear. By now, you would have understood how paltry the CTA’s annual budget is and how, together with its control over how it is dispensed, it is being used to perpetuate the CTA. It is virtually feudalism. In his article ‘Free Radio Free Asia,’ the writer Jamyang Norbu shows us how the CTA silences those they perceive to be criticizing the Dalai Lama’s Middle Way Policy in the media. He details how the largest independent Tibetan language newspaper, “Mangtso” (“Democracy”) was finally pressured to close when His Holiness publicly expressed his displeasure with its reporting. In fact it is not only those with differing political beliefs that the CTA gags. Ngapo Jigme, one of the senior members of Radio Free Asia, was summarily dismissed because he had views which differed from the CTA’s on a number of issues. When staff of RFA asked for the reason for the dismissal of their senior colleague, they were told that it was “personal” and not any of their business. This came as a big shock to the Tibetans at RFA who liked and trusted Ngapo Jigme, and appreciated his respect for their professional integrity and independence. The goings-on within the management of the RFA and interference by the CTA prompted a senator of the USA, an ally of the Tibetan people’s supposed march towards democracy, to issue a stern warning. Tibetan Parliament Speaker Penpa Tsering had also issued threats to the media that they should not be “a medium to spread discord within the community”. This is obviously not a very democratic view to say the least. Indeed, one of the characteristics and foundations of democracies is the right to have and voice a different opinion, one’s opinion. Then there is the Tsokpa Chukchik (Eleven Associations – including the Shopkeepers Association and the Restaurants Association) whose publicized goal is to “strictly deal with” any person making “baseless” claims against His Holiness the Dalai Lama, including taking them to court. Tenzin Nyinjey has described how the CTA had fired an employee in the Department of Security, a person called Lukar Jam, who is now running the Sikyong seat for 2016, who had written criticism against the CTA. 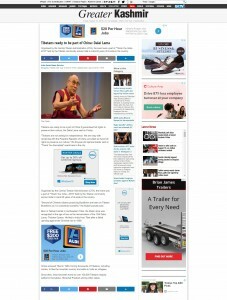 Any criticism even fair ones are morphed into acts of disloyalty towards His Holiness the Dalai Lama. 143 Tibetans have self-immolated in Tibet and China since February 27, 2009. Poverty, chronic unemployment, cronyism, corruption, continued statelessness. Aren’t these signs of a failed state, therefore a failed administration? Wake up world, wake up donors, wake up Tibetans. Do the funds raised for the Tibetan cause actually help the Tibetans? Do the funds actually reach the Tibetans? The recipe did not work, has not worked and will never work. Instead, it has given birth to a group of opportunists who, while likely agreeing that Tibet would never have its independence, are going around playing the part and enjoying the spoils, while month after month, Tibetans self-immolate. China can do without a Maroon 5 or Jon Bon Jovi concert but can donors continue to ignore the travesty of the whole system? During the same time, Bill and Melinda Gates have poured millions of dollars into global health and development with success, with results. Warren Buffet has joined them. The results of their charitable acts are visible and tangible. What has His Holiness the Dalai Lama and his government the CTA specifically achieved? Where are the results of half a century of aid? It is sad that the CTA has “lost focus” of what they really a suppose to achieve and I suspect they know that the cause was lost years ago and continue to deceive the world by blaming it of the Protector Dorje Shugden. This is a real shame! It is a huge joke that with the CTA receiving so much support, be it through goodwill or financially there is still no improvements with their management nor the quality of the lives of the Tibetans. With that it clearly shows what is going on and how manipulative the CTA is with regards to what they want the world to see and think. The CTA constantly try to gain the sympathy of others, yet they accuse DS practitioners to be getting support and money when there are practitioners that live in poor and do not receive any support at all due to what they have said and spread in the main media to people around the world. Thank you so much for sharing this information with all of us here. With this, it is clear that it is a dictatorship on how the CTA runs. Everyone in the CTA is all within the family. What is stated above is very similar to when Tibetans do not agree with what the CTA say or have a different view from them, these Tibetans will end up on a hit list that is circulated on the internet. Through that it is also obvious that the CTA wants people to have a look at the list then carry out actions of hurting/killing these people on the hit list. Otherwise, why would they be publishing such a list online for all to see. For a government that truly mean well for their people, they will not be creating disharmony within their own people. Simple reason, it is only through harmony that will allow their society to grow. So why create disharmony that will jeopardise the growth of the country when they want to gain their independence once again? It makes no sense at all. If the CTA really wants to get Tibet back, they will have to stop all the self-immolations, then remove the ban so that the Tibetans will be able to reunite and stand at the same side and be battling a common battle. They have too many political things ongoing in that small community of theirs, with everything not being solved, it will never be able to resolve any issue at all. It is very sad to read about the plight of the Tibetan community in India, living as stateless people and not allowed even a refugee status. For those born in India, they have a choice to become Indian citizens but they are discouraged from doing so because this is seen as being disloyal to the Tibetan cause. One day, the Tibetans will have to leave India. Where will they go? Is the CTA really taking care of its people? Why does the Prime Minister Lobsang Sangay have a Chinese National passport? Moreover, why are the financial accounts not transparent? The system does not appear to be democratic. In this day and age, such a feudal approach to governance is not acceptable at all. This is so sad that Dalai Lama, being the “Buddha of Compassion – Chenrenzig” to allow for all the wrongdoings. The funds are for the betterment of his people not just a select few. I guess the Dalai Lama and CTA wants to keep their people at poverty level so as to have easy control them. “Feed them occassionally and they are their slave” – as the saying goes. Buddhism is love and compassion but is it being practised here??? Buddha Shakyamuni lived amongst the people, may they be rich, poor or sickly. Dalai Lama certainly should get of his throne to go amongst all those in need daily until he suffers what his people suffers. Dharma cannot be learnt thru studies only. It must be practised in the real world and conditions. I don’t think the Dalai Lama had ever suffered other than his escape journey from Tibet to India. If they don’t change for the better, everyone looses … donation will stop, Tibetan “refugees” will suffer and most of Buddhism will suffer. Sad Sad Indeed!! With countless millions in foreign aid flowing in over the last 50 or more years, one would have expected the Tibetans-in-exile to be enjyoing a higher standard of living and not face unemployment at a 75% rate ! Being stateless and unemployed is the sad fate, then, of most Tibetans-in-exile. Despite the more than 100 desperate cases of self-immolation of Tibetans in Tibet, the likehood of regaining independence of Tibet is dim. On top of this, the CTA seeks to distract their people’s attention from these harsh realities( which they themselves have brought on them), by throwing in the Shugden controversy to rip the community n 2. The CTA do not need to publish their accounts and show the world how they have been spending the huge amount of aid received. They do not need to show how this money has been spent to create anti-Shugden websites to fan sentiments against all Shugden practitioners every where. Donors please wake up to what is really happening with the money you always thought was being spent on the welfare and education of the poor Tibetans-in-exile.! All this is true and many Tibetan people love Gyalwa Rinpoche and our Tibetan government very much but in the end he did not take take us but himself only. I was young man when I left Tibet and for over ten years my life very poor and no future. After I went America then slowly improve and improve. Look at many Tibetan people in India more poor and Gyalwa Rinpoche more rich and travel first class everywhere in the world. Our leader like Losang Sangay can have 2 passport and have nice house and money in America and still many people cannot have many food and house. Where all the money people donate go? We Tibetan trust our leader but we suffer because we make stupid mistake. This should be retitled to “Half A Century Of Wasted Aid – What The CTA Hides” to “Half A Century of Theft from the American Taxpayer” because that’s what it has ACTUALLY been. Half a century of our government funneling money to this bogus democracy while dumb politicians and doe-eyed celebrities fawn over the Dalai Lama and his ilk, bewitched by some fake Shangri-la spell that is so way off the truth, it’s unbelievable. I would like to thank the American government for wasting half a century’s worth of taxes on supporting a regime that abuses its people under the guise of democracy. Seems we have a real knack for installing puppet regimes. All that SAVE TIBET campaign is really just empty bull! And what’s ironic is all these stupid westerners just keeps buying into it. This is how good the media agency who markets this. I am confident to say that the exile Tibetan government is a fake government. What exactly can they do for their people and what exactly have they done so far? Look at the results for crying out loud and on top of that they create more disunity and more conflict splitting their own people up further. Real democratic government do not dabble into their people’s faith or religion unless the religion is going against the government. Politics and religion should never be mixed! The CTA should come clean and show the public what their accounts and be accountable for all the funds they raise. This would be how a true democratic government operates. Thank you for this article. Reading this article, it is sad to see that western donors have been manipulated to give to a cause that has been running ineffectively. So if I am giving to CTA, I would not know where the money goes or what it is used for. I will always wonder whether my money is used to promote self immolation? And it would not and never be the cause that I am supporting. 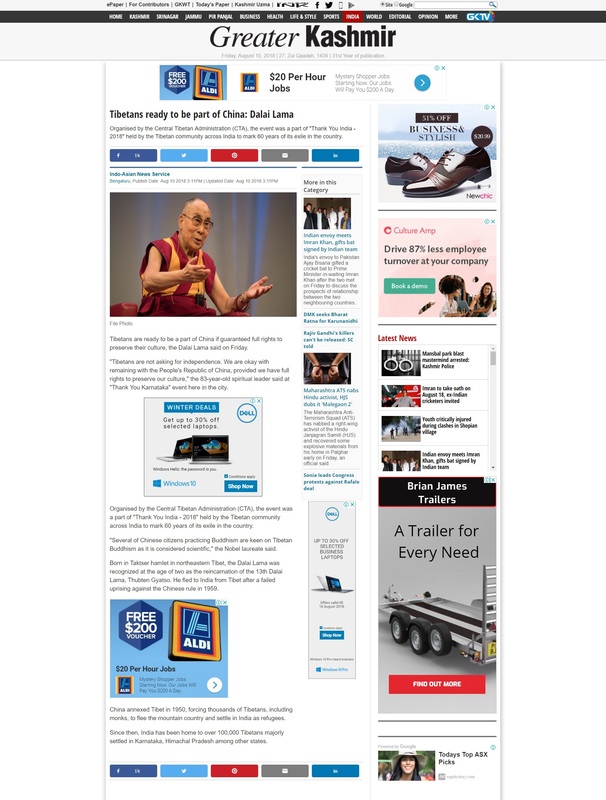 This article really opens my eye on what is going on for the Tibetan people. Indeed so much funds wasted on the wrong government – who does clearly not respect their own people. The way the CTA treats their people ( example Radio Free Asia) and the religious community – like Jonang, Dorje Shugden says a lot what is going on there. Yet, in the same way it is the whole Tibet people who are treated in this way as so many have friends and family who practice Dorje Shugden and they are not allowed to talk to them again. What a government of shame! Indeed, they have nothing in common with a democratic government and the world should know it! Thank you DorjeShugden.com to always explain in such detail what is behind, the history and much more. I am so happy to be able to come on this page and get a better picture of what is going on in the CTA and the reasons why they have lost their country. Yes, wake up. Wake up donors, Tibetans, world – see for yourself what exactly has the CTA achieved apart from suppressing its own Tibetan people and create disharmony and segregation while ignoring their needs for a status and a stable place they can safely call home. What has the CTA done with the donations and claimed to do? These are valid questions the donors can and should ask so to make sure the sum is being put to good use. It is so obvious there are no results from the CTA and the self-immolation are a waste of precious lives towards nothing. How pitiful that people are sacrificing for nothing and contribute to nothing. It is so depressing just by the thought of it. The CTA has to be transparent with their spending and proof to people where the sum has been allocated and for what. This is a smart way to garner even more donations as people are generally kind and they are more than happy to give seeing the impact and result of their donations. I suppose the CTA will not do so for the group is formed by selfish politicians who are short-sighted and couldn’t care less about the benefits of their own people. Why would this kind of government deserves any respect and support to say the least? Shame on the Tibetan leadership for betraying the world by using and portraying an ideal civilisation based on the Buddhist ideals of love and compassion. I was asking around and it seems that the ancient Indians actually considered the Tibetans to be barbarians. That was why the Indian pandits and mahasiddhas were so helpful in spreading the Dharma there. It was because they had compassion that they wanted to see their Tibetan brothers and sisters benefit from the Dharma. But woe, this is no longer the case. The previous masters both Indian AND Tibetan would be so disapointed with the current corrupt state of affairs. It’s funny that even though there are so much evidence of the leadership’s corruption floating around the internet, there’s not a single person from the states who speaks up against it. Yet that they are the biggest donor to the Tibetan cause, supposedly donating to the betterment of Tibet. Obviously the leadership has not done anything pleasant/ substantial with the funds they have received. They did not build more schools nor hospitals, they did not build houses for the poor, and instead they encourages violence against Dorje Shugden practitioners, funding some people to take out Dorje Shugden practitioners. Such a great shame to the leadership. Thanks for sharing this article. Big shame to the Tibetan government for not doing anything for the people and let them continue to suffer despite financial helps pouring from various countries. Hope more people are aware of this unfair treatment and action to be taken soon to help the people. CTA is just doomed! They rely on the Dalai Lama to court with the West in order to bring home donations and sponsorship. Then, they take this money and use it to fund the many programs to enforce the Dorje Shugden ban. How unfortunate! Once the Dalai Lama is not around anymore, most Tibetans would immediate fled to the West or naturalize as India citizens. By then, the Tibetan society as we know it. The party that received funds should be the one who is trustworthy, truthful and most important is the responsibilities for the concern and safeguard of its citizen. In addition, if the relevant authorities unable to use the funds appropriately as well as to solve the country internal affairs such as religious matter, the people will have more suffering and living with no hope and insecure. There are so many evidence supporting the mismanagement of funds by the CTA. But no one wants to be the bad guy to start digging into the finances. But lately people like Congressman Dana Rohrabacher raised questions about it. Are there enough people out there, people of influence who can and will do the thing, speak up? Doubt so. Which is why the CTA is so blatant about not keeping proper accounts of their financial standing. Anyway, who is there to audit them and penalize them should there be fraud? Are the Buddhist going to say, ‘oh..let them be….karma will bite back at them..’. In the meantime, the Tibetans in exile are in double jeopardy. They are stateless with no future. They are divided and oppressed. So are they better than slaves? don’t think so. They have to do as the CTA says. So, the most compassionate thing the holder of the Nobel Peace Prize can do is to unite the Tibetans. That’s not even going into spirituality and the true teachings of the Buddha yet. Just a mundane view. They probably will interpret it to their samsaric views. Sad, really.